Watch designers draw inspiration from all kinds of sources, and as watches are inherently mechanical devices, many of the inspirations are themselves mechanical in nature. We’ve reviewed many watch brands that were inspired by aviation, but Ballast watches draw their designs from submarines. Ballast watches aren’t the first to be inspired by submarines, but the number of manufacturers that are so inclined is still relatively small. The result is watches that are well-built, offer some interesting designs, and some surprisingly innovative features, all at a relatively affordable price point. Read on for the full Ballast watches review. We haven’t been able to find out much about the company that makes watches for this brand, but it appears that they’re based in Great Britain. We know that at least some of their timepieces are built in Switzerland, as some models say “Swiss Made” right on the watch face. The build quality is good; they all have stainless steel cases, though a few are stainless with PVD coating. The watch face is either coated with mineral glass with a sapphire coating or with sapphire crystal, which is exceptionally resistant to scratching. Water resistance is 50 meters at a minimum, with many models offering 100 meters of water resistance. Straps are available in stainless steel, leather, and silicone. The movements come from two different places – some models use Japanese automatic mechanical movements sourced from Miyota in Japan. Others have quartz movements sourced from ETA in Switzerland. Both Miyota and ETA are among the world’s largest manufacturers of watch movements, and they both make a high quality, reliable movement. While the company seems, at first glance, not to offer any innovation, you might be surprised to see what’s under the hood. These watches offer features seen on many other brands – time-only, date complications, chronograph features, inset second hand dials. These are not all that remarkable. What is remarkable is the features in some of their models regarding how one sets the time and date. The crown unscrews and is removable. Once you’ve removed the crown, you’ll have access to a button that allows you to control the setting of the time and date. At this point, you set either of those features by twisting the bezel of the watch. Once you’re done with that, you click the button once more, reset your crown and then you can rotate the bezel of the watch to wind it. The styling is rugged in design, as you might expect from a company that took their inspiration from submarines. That said, there’s a surprising a mount of color in the Ballast watches product line, including both vivid and subdued examples. That’s great if you’re tired of the traditional white/black/gold that one finds from most manufacturers. There’s a place for that, but it’s nice to see some color every now and again. The product line consists largely of men’s models, with case sizes in the mid-40mm range. There are a few women’s models, however, with more modest (30mm in one example) case sizes. Features seem to be limited to time-only, chronograph, date, and second hand. You can buy Ballast watches with stainless steel bracelets or Italian leather or silicone straps, depending on your needs. The care and maintenance of Ballast watches is fairly straightforward. Many models feature highly reliable quartz movements. The only maintenance you’ll have to perform is the replacement of the battery every few years. Mechanical models may require occasional servicing to ensure that the mechanical movement continues to work correctly. 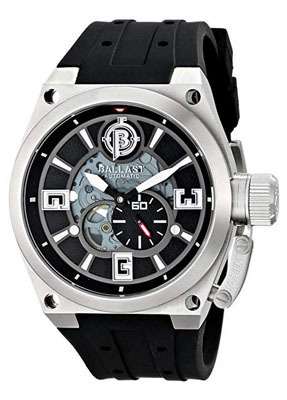 Ballast watches recommends that you have your watch inspected every two years by an authorized dealer. As with all watches, you should keep your watch away from extremes of temperature and from strong magnetic fields, as these can damage the movement. With proper care, you’ll find that Ballast watches should run well for years to come. The warranty offered with the purchase is the industry standard – two years. This will cover problems with defects and craftsmanship that may have arisen during manufacture. As Ballast watches are tested thoroughly at the factory prior to shipping, defects are likely quite rare. As designer watches go, pricing is reasonable, especially given that some of their models include the rather innovative bezel mechanism for winding and setting the watch. 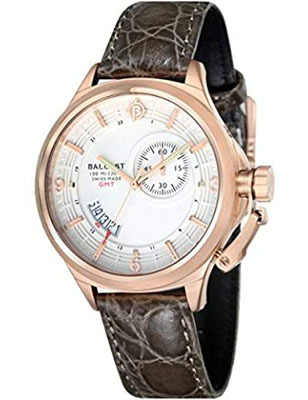 You can easily spend tens of thousands of dollars on a designer watch, but Ballast watches are far more affordably priced. We’ve seen some models priced at a low of about $175 and a high of about $950 or so. Most models fall in the middle of that range, making them quite affordable for an attractive, well-built watch. You can find them for sale at a few brick and mortar retailers, and stores that specialize in watches will likely have a few models in stock. You an also shop for them at the company’s official Website, though we saw surprisingly few models for sale there. You may have your best luck shopping for online, as that will allow you access to both the widest selection as well as the most competitive pricing. 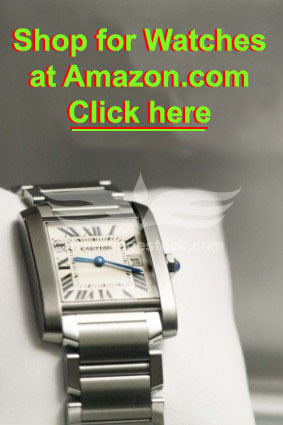 Shopping online will also give you your best chance to buy discount Ballast watches. There are relatively few watch brands that are inspired by submarines, and that alone puts this brand in relatively scarce company. They don’t stop at that, however. Their watches are well-built, with solid cases, strong glass and reliable movements from reputable Swiss and Japanese manufacturers. They offer some interesting mechanical innovation and a nice selection of styles and colors for both men and women. 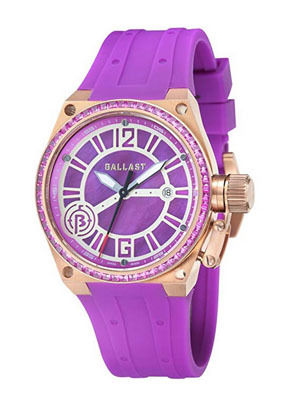 Ballast watches also offer pricing that’s quite good for a well-made designer watch. If you like the rugged look of submarine-inspired design, you’ll likely find shopping for Ballast watches to be worth your time.